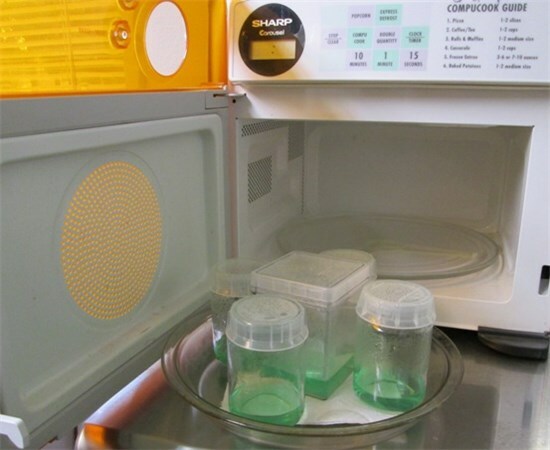 Processing media in a microwave is quick and easy. See the workshop handout for details. Note that each slide can be stopped by hovering over the image. You can also make the slideshow go faster by clicking on the image. A glass pie plate makes a great tray. Tongs are used here to handle the hot jars. These are Combiness vessels which are similar to deli containers. 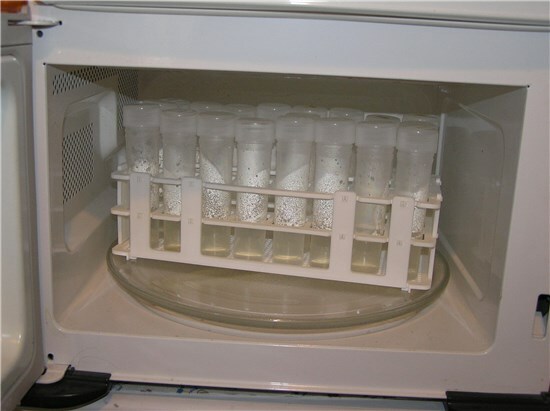 Liquid media with an increased concentration of PPM can be used to control contamination. Here a bottle of liquid media is being processed. The agar is included in this media. The agar will be melted and the media will be poured into test tubes or jars, and then further processes in the microwave. This was a spaghetti sauce jar in its previous life. The cover is a Unicorn #2 cover from a Unicorn vessel. 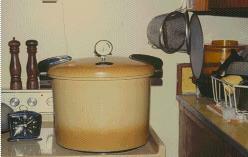 This is a pressure cooker which is an alternative to using a microwave. A pressure cooker does the same thing as an autoclave. These can be found at garage sales, your mother's garage, your grandmother's attic, amazon.com, and even in your own kitchen (I have two).